‘Dead Zoo’ is the chilling expression Dubliners use when referring to one of the Dublin’s most peculiar children attractions: the Natural History Museum of Dublin. 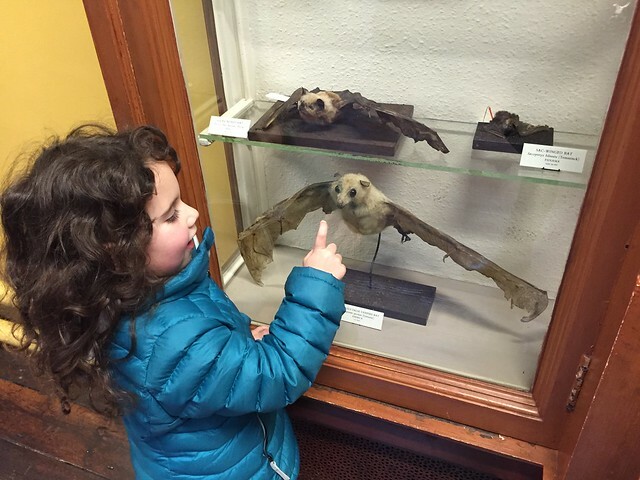 Located in Dublin City centre, the museum was built in 1856 and it’s an ode to taxidermy: it stretches over two floors of one of Dublin’s beautiful historical buildings and its imposing rooms are full of specimens of animals from all over the world. It is a very unusual place and, like its nickname, it seems designed to awaken in visitors conflicting feelings: it is disturbing but somehow intriguing and if you are looking for fun things to do in Dublin with kids it is a must see. If you are looking for family-friendly museums in Dublin, you may also like my post about Dublinia, the museum devoted to the history of Dublin city and its Norman and Viking past. 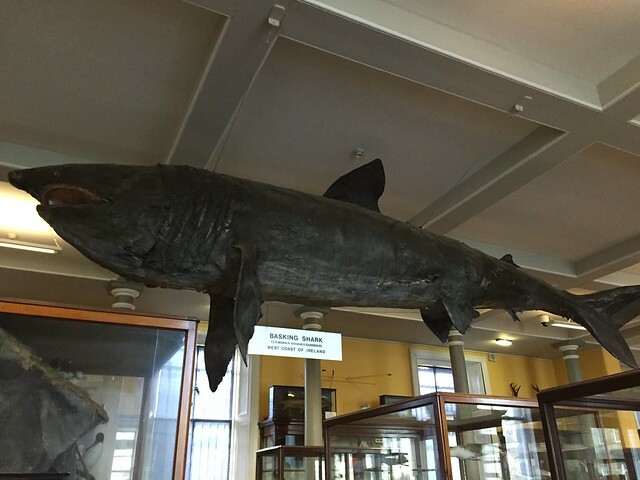 We have been to the Dublin Natural History Museum a couple of times. Our very first family trip there happened when my son was a little over two and our first impression of the museum wasn’t spectacular: my son felt a little bit overwhelmed by the size of some of the animals and the old style displays, with their lack of interactivity, made the place hard to grasp for a little one and a little bit stuffy for adults. Make no mistake: the Dublin’s Natural History museum has no woolly mammoths (though they did once roam the Irish landscape) but indeed hosts many other interesting specimens including the famed Irish Elk or giant deer (Megaloceros giganteus). So, with expectations set, we walked in. The first impression, when you enter the wide room, is to have stepped back in time to the Victorian era. Glass cabinets with specimens fill the large space and, from their glass cages, animals of all sizes look at you, their still eyes piercing and inquisitive. The Natural History Museum of Dublin is often referred to as a museum of a museum and this first room shows how appropriate the definition is: if you were to describe the typical museum we knew when we were kids, it would look exactly like this. This floor is dedicated to animals native of Ireland and has families of foxes, badgers and marine birds that have found in the museum their final resting place. The displays are organised to recreate bucolic scenes of their wild habitat and the kids thought they were the most charming and cute little scenes they ever saw. Unphased by the stillness of the animals and the undeniable truth that it is something dead you are looking at, my kids ran from a cabinet to the other with screams of excitement and laughter. ‘Look, mamma, a silly goose!’. It reminded me of our first visit at the ‘living’ Dublin zoo: we had made a big deal about elephants being here while the kids thought the best animals of all were the chickens in the petting farm area. It’s typical: you just never know what your kids will be into. As well as inhabitants of the Irish countryside, the ground floor hosts creatures from the sea. They come in all sizes and truly show how weird and wonderful the animal kingdom is. The biggest creature here is the long shark that now hangs from the ceiling and perilously swings under the footsteps of the first-floor visitors. The smallest is probably one of the many seahorses kept in glass jars: both are awe-inspiring. If you or your kids like bugs, this room also hosts displays that will make any entomologist happy. Bugs and insects of all kinds are pinned to endless cases, legs and wings in full display. I am trying really hard not to pass on to my kids my phobia for butterflies but this is a part of the exhibition I knew would just defeat me so I left them to it and moved on. 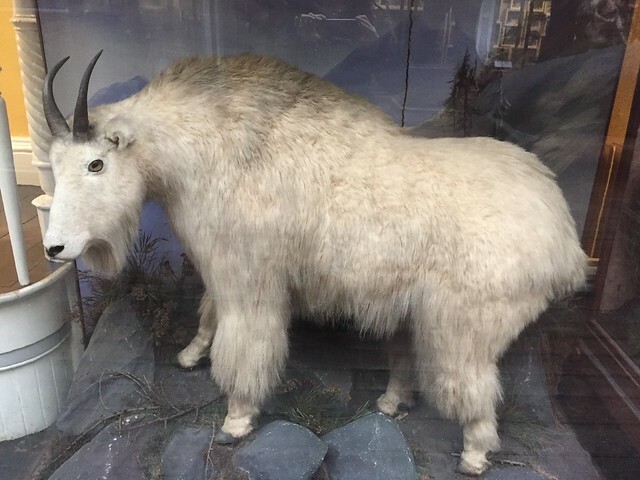 The upper level of the museum also contains animals treated with taxidermy but despite this similarity in approach, it has a very different feel. First of all, the room has two levels (the upper gallery is, unfortunately, not accessible ) so you are surrounded on all sided by animals staring at you. Secondly, while the ground floor hosts mainly small, local animals, the first-floor goes for the exotic and the big. Polar bears, lions, elephants, deer even gorillas. Nothing is too big or too exotic to find a palce here and the effect on kids and adults in incredible: there is something quite powerful about being face to face with a polar bear, even if the one in question looks like a less cuddly brother of your cildren’s favourite toy! The kids loved this part of the museum and slowly seemed to get interested in the nature of what they were seeing: the question ‘are they dead’ was finally asked but our straightforward answer (yes) didn’t seem to bother them: they ran from one case to the other, posed near the small skeletons of bats and tried to pick a favourite. Trauma was, on this occasion, avoided. I got very fond of the Himalayan goat! 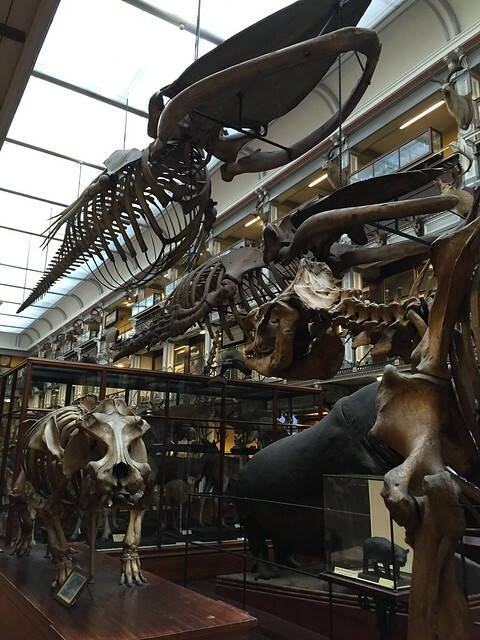 The Dublin Natural History Museum is worth visiting and it’s one of the many fun things to do in Dublin with kids (you can find more here). It is best suited for kids aged 3 or more, I believe, and a perfect hideout on a rainy day.